We are Peer Educators at the Center for Anti-Violence Education (CAE) in Brooklyn, NY. We are a group of young women and transpeople, ages 12 – 19, who believe that violence is never okay. We demand that the charges against Bresha Meadows, a victim of perpetual domestic violence, be dropped. Bresha was courageously acting in self-defense and her actions were rooted in the notion that she and her family deserve to live free from violence. Bresha is a survivor of abuse and trauma. Arresting her, incarcerating her and charging her as an adult perpetuates victim blaming and the culture that young girls and women are punished for protecting themselves – she is a victim, not a criminal. We ask that you consider her point of view: If you grew up experiencing violence and seeing your family members abused by your father, what would you do? Bresha, a young brave teenage girl, is behind bars. As long as Bresha is incarcerated, she will be re-traumatized and at risk for even further abuse. We, her extended community, will not be silent as the system that we are taught will protect us, continues to disregard morality and our unalienable rights as women and girls. 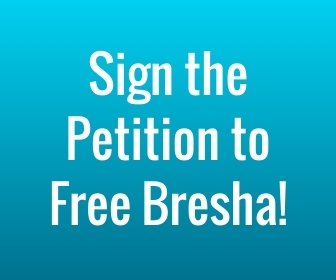 Please use your power for equity and justice to Free Bresha and help her begin her path towards healing from years of horrific abuse and trauma. 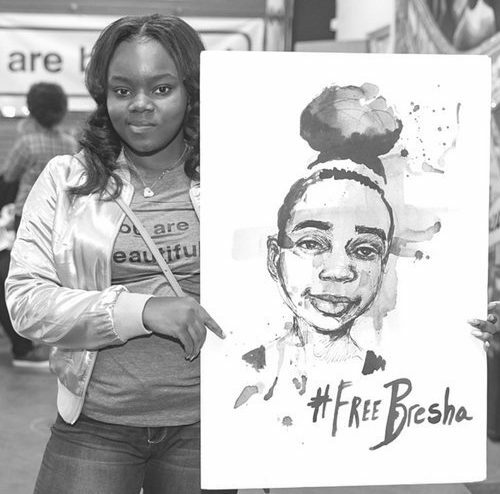 The Disorder of Law and Order ― Free Bresha Meadows!